Our Adult Ensemble's very first show! — A.B.L.E. Our Adult Ensemble's very first show! After a successful pilot run with our workshop series this summer, our adult ensembles are officially in weekly rehearsals and getting ready for their first big show! Each Tuesday, we host two 2-hour sessions, one in the morning and one in the afternoon. Two actors are spending the whole day with us, and the others have chosen just the morning or afternoon session to suit their needs. Supported by our team of teaching artists and rotating facilitators, actors will create a one-of-a-kind variety show. 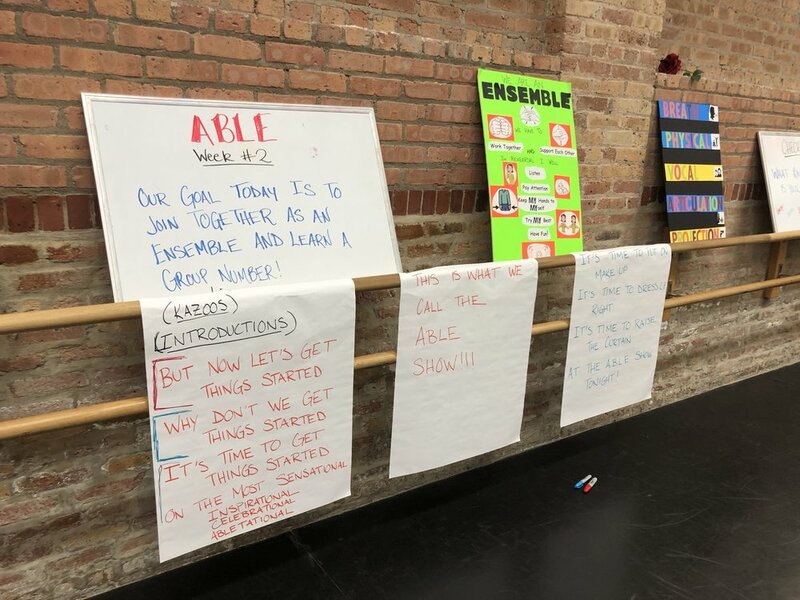 The first two weeks of rehearsals have focused primarily on ensemble building exercises like “Yes, Let’s” and skill building games like “Stage Manager Says” and “Here to There”. But we’ve had plenty of time for brainstorming and discussion asking each actors what kind of stories they like to tell, and what types of work they’d like to share with the audience. Interests range from a solo dance piece, to stand up comedy, to classical scenes (there’s a lot of interest in Romeo & Juliet). In the weeks ahead, we’ll work on bringing these ideas to life, ensuring each performer has an act they love for the final showcase. And of course, along the way, we’ll be learning important skills like teamwork, communication, and focus. We are still welcoming interested performers ages 22+ to join in this new ensemble and be a part of the show. Registration will remain open until October 30th. We can’t announce our show date quite yet, but it’s someplace REALLY cool! Stay tuned for information about tickets. In the meantime, you can follow our progress here on our weekly blog, and on Facebook and Instagram!